GM plans to improve profitability as newer vehicles such as the 2014 Chevrolet Silverado and GMC Sierra pickups hit dealer lots. "Although GM Europe appears to be on the right track, we wonder how much of this is due to accounting benefits as opposed to improvement in end market demand. We're becoming a little more convinced on GM's execution in Europe, but we'd like to see a reversal in the continued sales declines first. Still, it's hard to argue against the name (or almost any auto name) with a substantial product refresh underway in the midst of a major recovery of the North American market." "Investors who fretted over execution challenges in a transitory second quarter with respect to the North America truck launch and EU restructuring can breathe a big sigh of relief. Not only did GM hold it together, but they managed to post a high quality earnings beat that could take consensus up by as much as 10% for 2013 and over 5% for 2014, leaving the valuation case still very much in tact at roughly 10x PE (2013) and 8x (2014). Beyond the quarter itself, strong execution is helping to build valuable management credibility." "GM delivers a solid Q2 highlighted by in-line North America and very encouraging Europe results offset by worse results in other international markets. This was a transition quarter for GM ahead of major H2 product rollouts (trucks, etc.). So net-net, we think investors walk away with a slightly positive reaction on the much narrower Europe losses, relieving results in North America and solid [free-cash flow]. Although GMIO was clearly soft, the magnitude isn't dramatic and GM is highlighting initiatives to improve performance." "The biggest news in the quarter is just Europe is not as bad." 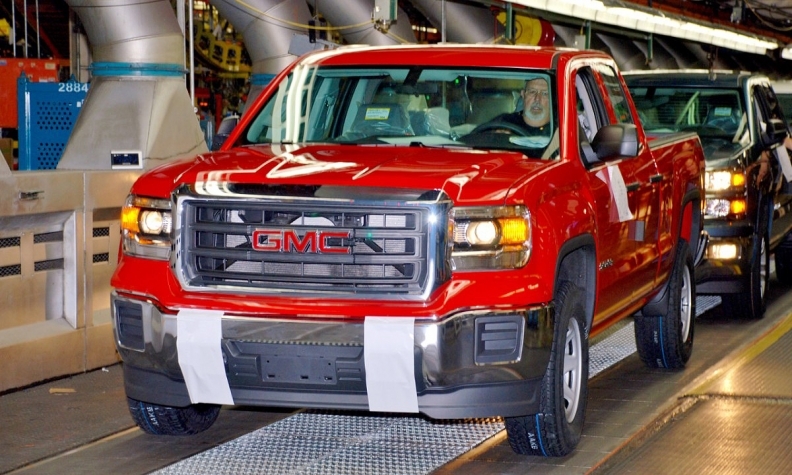 "North America appears to be firing on all cylinders ... the GM international operations headwinds indicate that GM's operations outside China may remain challenged for some time. Moreover, although we appreciate a solid beat in Europe, which indicates that GM is on track to breakeven in Europe by mid-decade, we will look to understand whether there may be some loss reversion in the second half given seasonality." "It was a stable quarter for GM on the home front with the automaker posting a 6.8 percent increase in sales ... Despite the nearly 13% increase in incentives spending, average transaction price inched up 0.3% thanks to the truck rich sales mix. We expect the continued housing sector recovery to have a positive momentum on GM profitability due to the boost it will provide to highly lucrative truck sales." "While we expect some variability quarter-to-quarter, GM and competitor/supplier results support our view of a stabilization in the [Europe] region and the better than expected results should be well received giving investors confidence that progress is being made and break-even by mid-decade is possible." "With so many new models hitting showrooms in 2013, General Motors should continue its upward sales and revenue arc throughout 2014. Several factors are contributing to GM's strong showing, including growth in truck and SUVs sales, a solid performance from cars like the Chevrolet Cruze and Cadillac ATS, and increasing customer satisfaction and quality scores. New product will continue to roll out in the coming months, including updates to the Chevrolet Malibu and an all-new Chevrolet Corvette and Cadillac CTS. Throw in GM's continued success in the world's largest car market, China, and 2013 is shaping up to be a very good year for The General."